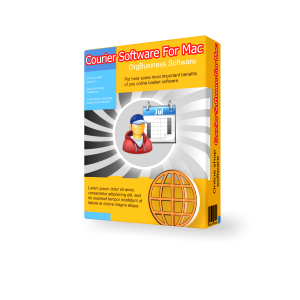 Courier Software is an efficiency inducing management software designed to be used on Mac (OS X). 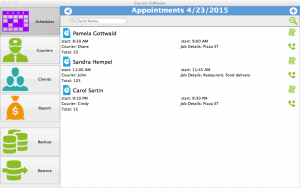 This software can be easily used by any service that includes delivery as part of its operational services. This can include pizza delivery, courier services, restaurant delivery, delivery riders, passenger delivery via minibus services, etc. The main feature of the software is to facilitate management of deliveries including working hours management and scheduling appointments, so that orders to not overlap or miss in busy times. The software holds in all information about the employees performing the delivery services, the clients and their details and even their comments, if any. The program is easy and simple to use and does not require any professional knowledge to operate. 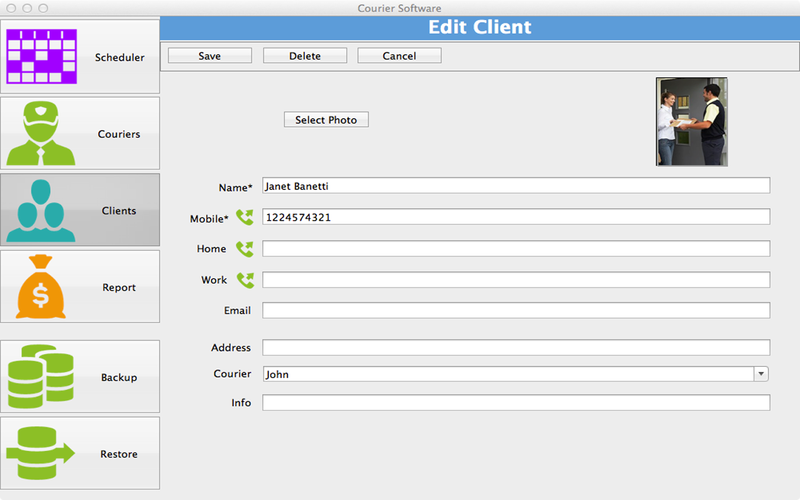 The main menu depicts five icons, Couriers, Clients, Reports, Scheduler and Backup/Restore Options. 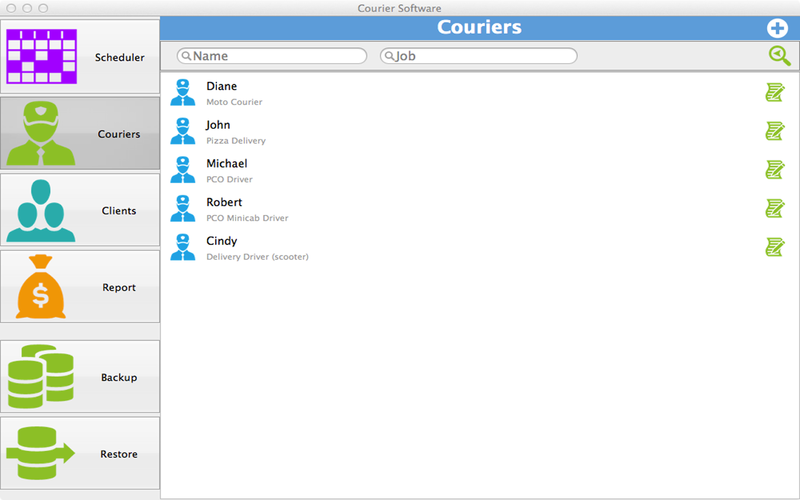 The couriers section holds in information of all individuals who are responsible for the delivery services. This includes proper recording of all the jobs performed by them and their personal contact details. Viewing this list makes it easy to find and appoint an individual with a task that that he or she can manage in a given time. The clients section holds in all information about the company’s clients that are catered including phone numbers, addresses and emails. 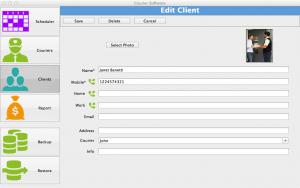 The program also offers the option of capturing photos of the couriers and the clients that can be saved with their profiles. 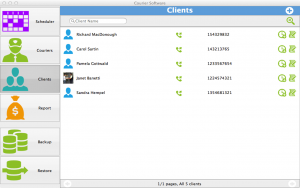 Also the choice of calling directly from the program to the customer’s Skype ID is possible, besides making direct phone calls. The Reports section holds in all financial information based on daily earnings, including information of who offered the service and at what time. 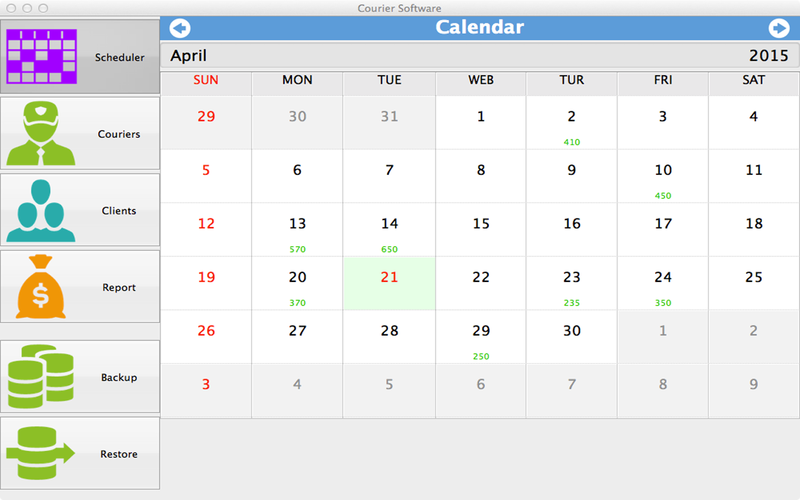 The Scheduler section is presented as a calendar that offers all working details performed on a certain date. The daily earnings can be viewed at the corner of every date, while clicking a certain date reveal all information such as job details and earnings. 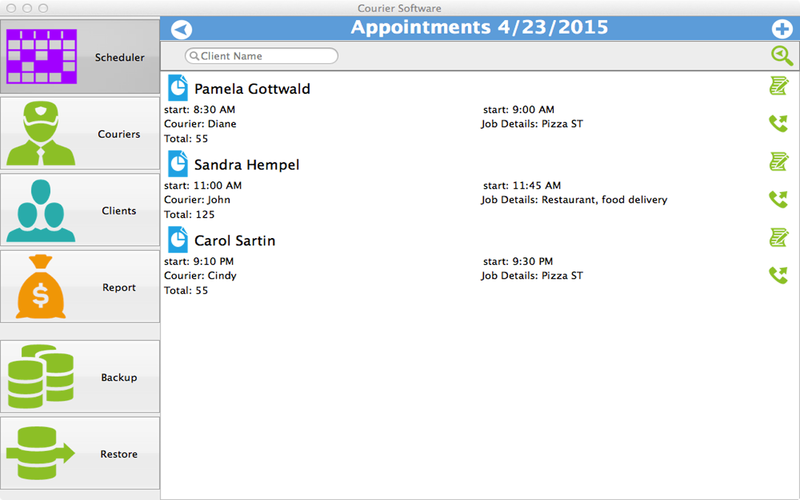 The calendar can also be viewed to create new appointments and refer to older ones. 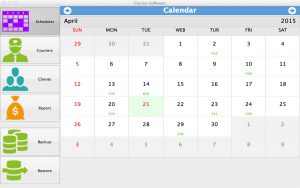 The calendar makes all scheduling tasks easy as simply through flipping the dates, users can check availability and assign new tasks to couriers. In order to serve as a backup for all the useful information and to facilitate use of the program on other devices, the Courier software is also compatible with devices including Android and Windows Phone. To avail this option relevant programs are required to be downloaded from respective stores.